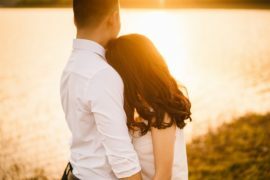 How To Know If The Person You Love Has A High 'EQ' (& What That Means For Your Relationship) ⋆ Kelly Ann Garnett, M.A. It’s far more important than you may think! Emotional intelligence (sometimes referred to as “EQ”) has become a hot topic in the world of romantic relationships, and it’s about time! So many people are out there dating and looking for a new boyfriend or girlfriend to fall in love with when they haven’t fully dealt with serious issues from their past. This means that all too often you’re already deeply invested in the new relationship before you find out they’ve got a whole suitcase full of baggage. By that time, you know falling in love with them is probably not going to end well. If you’re looking for more than a surface level attraction and want a deep, long-lasting connection and commitment with someone, making sure they have an emotionally intelligent personality should be at the top of your must-haves. 1. They have an attitude of gratitude about their exes. When a person is truly emotionally intelligent, they are able to speak kindly about their exes. They realize that the relationship wasn’t meant to be, and they are appreciative of all that they learned. What’s more, they’ve healed any heartbreak or judgments and are ready to move forward. They understand that everything happens for a reason and all encounters are opportunities to learn and grow. 2. They are clear about what they want. 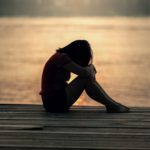 Someone who’s emotionally unintelligent is dating to fill a void — whether it be from the pain of a relationship ending or because they’re just lonely. If you’re looking for your soulmate relationship — and the person you’re dating says they don’t know what they want — they’re not even close to being ready for a real commitment! Someone who’s emotionally intelligent has goals and knows what action steps to take to achieve them. They know that they are ready for a soulmate relationship and are willing to do what it takes to actualize it. 3. They are clear about who they are. An emotionally intelligent person has a very empowering relationship with themselves. They have built a relationship with themselves that’s based on acceptance, trust, and kindness. And even though they are perfectly happy being single and feel very fulfilled in their life, they are excited to share their life with someone special and to experience the depth of connection that a soulmate relationship cultivates. 4. They have healthy emotional boundaries. When someone has a high level of emotional intelligence, they know how to bond in a secure way. They know how to ask for what they need and how to meet other’s needs if they can. If they can’t, they can clearly communicate that and work to find a compromise. They have the ability to make mutual agreements that work for both of you. Plus, they know how to be intimate and vulnerable. They are genuine, honest, and don’t have any walls up to sharing about themselves or giving and receiving love. You can tell your partner is emotionally intelligent because they want to connect with you. And if something doesn’t work for them, they will express it in a loving, heart-centered way. They don’t need to yell or get angry to get their needs met, to be heard, or to be understood. They can set healthy boundaries and be gentle about maintaining those boundaries, too. 5. They authentically express their feelings. When the connection feels right, an emotionally intelligent person will tell you that. They can speak openly and honestly about their feelings and are willing to share them with you. If the connection feels right, they will consistently make plans to spend time with you. You will always know where you stand with them. They take responsibility for their part in any situation. They don’t attack or blame. They are committed to being accurate when they speak about the two of you and have no problem asking clarifying questions so that you feel understood and acknowledged. Seeking a relationship with an emotionally intelligent person is definitely a game changer. If you’re ready to experience a true soulmate relationship, make sure that they have a high level of emotional intelligence. And in the meantime, you may want to take inventory to see how high your emotional intelligence is. I am a certified love attraction coach who understands the deep desire and longing for a soulmate and wants to show you how you can find your perfect emotionally intelligent match. Download my free eBook and get more information about how I can help you boost your emotional EQ and use it to make your relationship amazing.